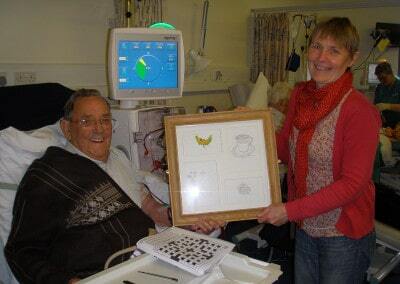 Following on from the arts and health project in Welshpool we worked in partnership with the Renal Unit at Wrexham Maelor Hospital to run a 16 week arts project. 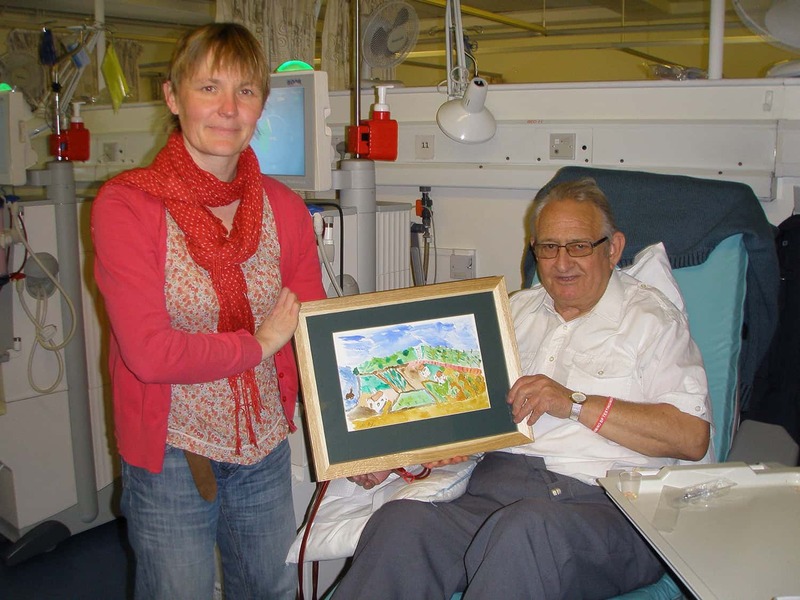 The patients at the renal unit worked with artist Emma-Jayne Holmes, looking at drawing and watercolours. Over 8 weeks participants learnt about colour theory, how to mix watercolours and filled their sketchbooks with a range of sketches. 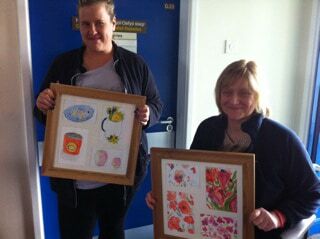 It was hard to choose from the vast array of work produced but some of it has been framed and will be displayed on the walls of the ward. Following on from this they worked with Fiona Collins on creative writing workshops, creating poems, some inspired by the paintings which will also go on display. 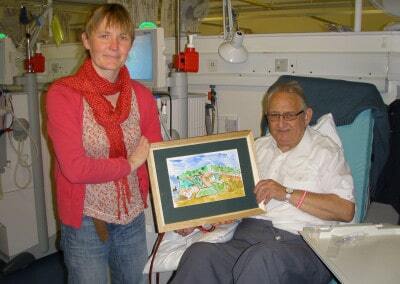 Patients continue to paint and write at the unit. The project was made possible by funding from the Arts Council of Wales and the Renal Unit and was supported by the Betsi Cadwaladr University Health Board.